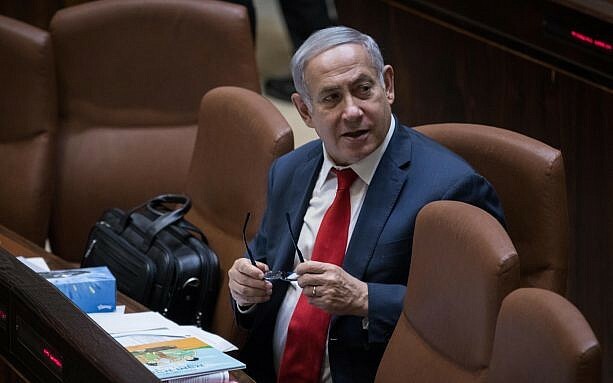 The Knesset overnight Wednesday-Thursday passed into law the contentious nation-state bill that for the first time enshrines Israel as “the national home of the Jewish people” in its quasi-constitutional Basic Laws. before this law came into effect.” Read the full text of the law here. The most furious protests during the debate came from Arab lawmakers. Joint (Arab) List MK Jamal Zahalka ripped a printed text of the bill to shreds from the podium. “I declare with astonishment and sorrow the death of democracy… The funeral will take place today in the plenum,” his fellow party member Ahmad Tibi said in an Arabic statement. He called the law “historic,” and said it received the most serious legislative treatment of all of Israel’s Basic Laws, having been debated and revised for over a year. On Sunday, Netanyahu and Education Minister Naftali Bennett reached an agreement to cut a controversial clause, which allowed the state to “authorize a community composed of people having the same faith and nationality to maintain the exclusive character of that community,” and replace it with a new clause celebrating “Jewish settlement” in Israel in general terms. Lawmakers amended the bill accordingly just hours before the final authorization, removing the clause sanctioning housing discrimination on the basis of ethnicity or religion. 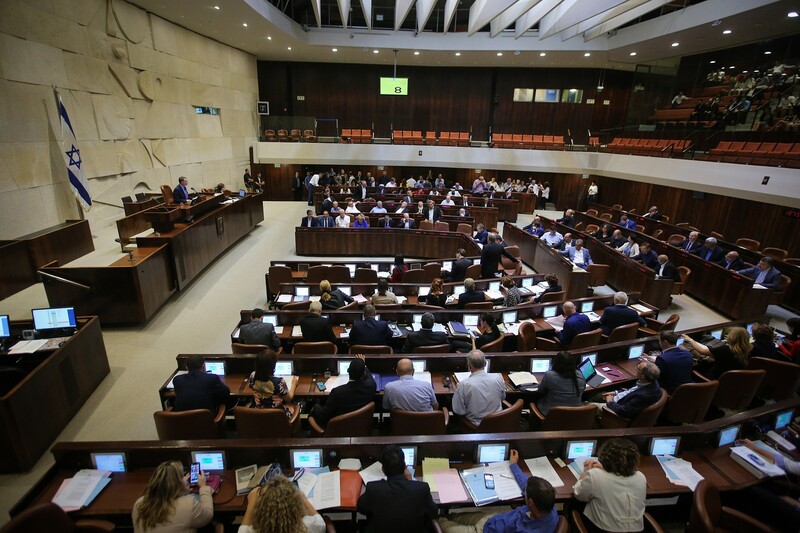 Some of the last-minute changes to the bill came after politicians, legal advisers and others warned that several of its clauses were discriminatory and could cast a dark shadow over Israel in the international arena. Outgoing Jewish Agency chairman Natan Sharansky, Attorney General Avichai Mandelblit and Knesset legal adviser Eyal Yinon had also raised opposition to the earlier text. 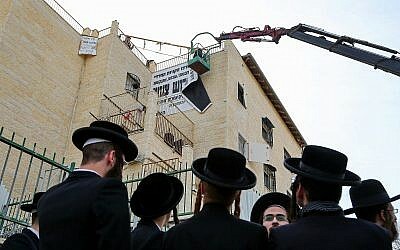 Beit Shemesh municipal workers take down “modesty” signs in the city - put up by FAKE JEWS! Judaism is already mentioned throughout the country’s laws and religious authorities control many aspects of life, including marriage. But the 11 existing Basic Laws deal mostly with state institutions like the Knesset, the courts, and the presidency, while Basic Law: Human Dignity and Liberty defines Israel’s democratic character. 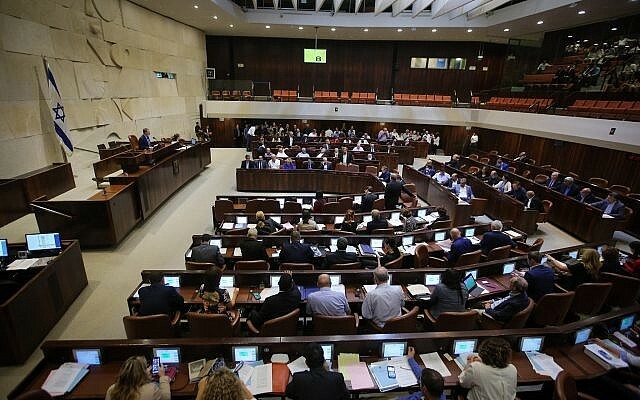 First proposed in 2011 by Avi Dichter, then an opposition Knesset member with the centrist Kadima party and now a prominent Likud MK, the bill has seen numerous rewrites and parallel proposals. Netanyahu enthusiastically threw his support behind the proposal, and had vowed for years that it would ultimately be passed into law. 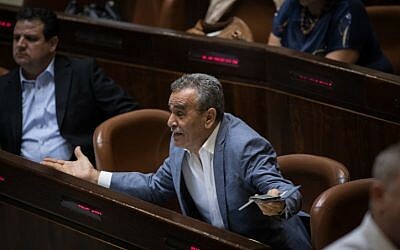 Yeah, the typical Arab MK outburst - we don't recognize you, we hate you and want you to die. How dare you exclude us?